He was right. Yet, when we think of the pure sciences, we think of men and women dressed in white laboratory coats, pottering about absentmindedly while thinking thoughts too deep for most of us to fathom. We seldom think of them as doing anything that is going to be of any immediate practical or transactional value in our daily lives. Luckily, some of the alumni of the Indian Institute of Science (IISc) in Bengaluru, the hallowed institute first endowed by Jamsetji Tata, think differently than most in the start-up world. Last week, I met C.S. Murali, whom I have known for a long time, and C.V. Natraj, who shared the Royal Society’s article with me. Murali is the chairman and Natraj the chief technical adviser of the Society for Innovation and Development (SID) at IISc. SID is based in IISc’s verdant campus reminiscent of a Bengaluru before the technologists ruined it in their wake. SID was set up with the express purpose of incubating world class start-ups based on deep science that are both commercially viable while also having the ability to “give back” with wide societal impact. 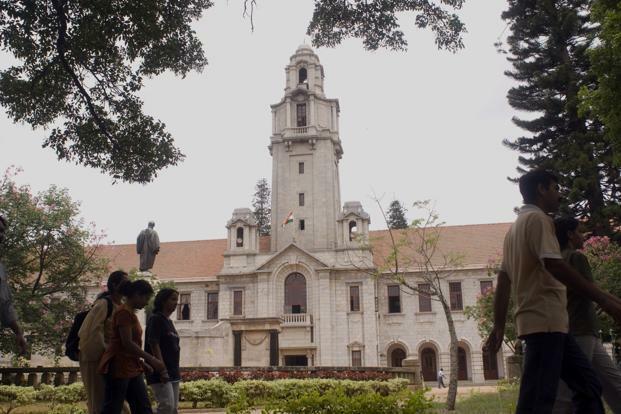 While SID was originally meant only for those with direct connections to IISc, it has now broadened its remit to include all comers who fulfil both the above criteria. One such start-up at SID is led by a famed aeronautical scientist. It is developing a drone that can carry payloads of up to 10kg over long distances. Before you dismiss this as a toy, or liken it to Amazon’s experiments with drones for delivery of its parcels, stop to remember that just recently, the news media was agog with how the police had created a special corridor to the airport so that a donor’s heart could be flown from Chennai to Bengaluru airport and thence to a Bengaluru hospital for a heart transplant. No existing drone was then capable of carrying a payload of that weight over the distance. This start-up, if successful, could revolutionize certain types of critical medical care. At the other end of the medical care spectrum at SID is a start-up that is focused on creating a high-precision box that uses a “lab on a chip” and can perform sophisticated laboratory tests, without laboratory technicians, on 14 essential parameters on blood samples—for which, today, one needs to travel to a clinical laboratory. Rural India has as much of a deficit of such laboratories as our urban areas have a surfeit. Placing one of these small boxes in villages within a taluk can immediately enhance the quality of basic medical care in the taluk since local physicians will have immediate access to a full panel of blood tests for their patients. SID has several other start-ups that focus on other areas. One is attempting to build and launch low-orbit satellites to support millimetre wave spectrum, which is today available aplenty, is much cheaper than 3G or 4G spectrum, and relies on line of sight. It works much like satellite TV, but is fine tuned to the point where its latency (or speed) is at 10 milliseconds, and not at today’s latency average of 400 milliseconds. As our need for spectrum grows, this could be a viable breakthrough solution for our telecom providers. SID’s dependence on philanthropy is unfortunate. We need to consider investing in these enterprises simply because the passion of these researchers is bound to eventually arrive at results of immense value. Einstein comes to the rescue again when I seek to close by finding words to describe this passion. He said: “The state of mind which enables a man to do work of this kind is akin to the religious worshipper or the lover—the daily effort comes from no deliberate intention or programme, but straight from the heart”. Sometimes, just sometimes, maybe inner passion should guide our investing philosophy more than immediate profit. Siddharth Pai is a world-renowned technology consultant who has led over $20 billion in complex, first-of-a-kind outsourcing transactions.